Three months ago I introduced the CCC in the Post, “The Credit Card Calendar: 32 Miles per Dollar all year long.” For those of you who weren’t reading Milenomics at the time I’ll give a quick Recap of the Credit Card Calendar (CCC) here. We talked a little about Market Timing yesterday–and the idea that a card offer will only be around right now is a form of Market Timing. However great the offer sounds, more likely than not it will come back around. Later in this post I’ll even show you why the best offers and the best time to apply for certain cards don’t always line up. In one player mode you may still want to apply every 6 months. If you have a greater demand for miles you could apply during each quarter–but keep a close eye on your score. Why stick to this schedule? By doing so you pool your applications. With each application you take a hit for each hard pull, of 3-5 points, but then when the cards are opened you slowly see your score inch back up, as the new lines reduce your utilization, and also slowly start to age. If you applied for one card, then a month later another, then a month later another two by the time you reached the third month you’d already have the first 3 accounts open, and you decrease your likelihood of being approved. You might say that applying for a lot of cards at once looks bad, but remember, there are 3 big credit reporting companies, and each card issuer picks a different one to “pull” your credit from. If you apply for 5 cards the very best case scenario is that the first 3 pull different agencies, and then the last two pull different agencies. What this means is that no one sees more than 2 pulls at a time. Had you spread out those applications over a few months, once each credit line is opened, it would show on all 3 credit reports. All 4 would be visible to application #5 at that point. Step 1:Calculate your monthly spending over the coming 3 months. This step is important to do each quarter–as spending goes up and down during the quarters. Step 2:Craft your Calendar–Start to review the thread of credit card offers on Flyertalk. I have not recommended taking on more minimum spending than you can handle with just day to day spending–because the costs to meet minimum spending via other methods can erode the value of the miles you earn. If you know what you’re doing, and have been successful with MMRs in the past–you may be able to exceed your monthly spending and still keep your costs down. But especially for people new to the game, go with what you spend on regular monthly credit cards only. I know how enticing the offers of 50,000 or more miles can seem. But don’t apply just yet–I like to do my research a few days ahead of time, and make sure I’m not missing anything. Then I start a Google Doc with applications I’m looking at, and after I apply I update the doc with screenshots and notes. In the next 2 days I’ll be doing this–and I ask you to do the same. Then on Thursday I’ll post my ideas for applications, and you can compare to your own. I mentioned earlier that the time to apply for cards is not always when their bonus is highest. 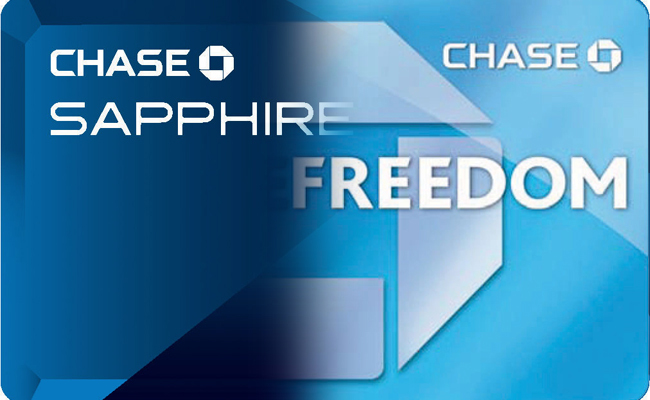 Today’s examples I’ll use are the SPG Amex and the Chase Sapphire Preferred Visa. The historically highest bonus for the SPG Amex has been 30,000 miles. Like clockwork almost, Amex rolls out this bonus in the late summertime. The standard bonus right now is 25,000 SPG points with $5,000 in spend. So if you completed each spend you’d either net 30,000 total points, or 35,000 total points. This sounds like a no brainer–apply during the 30,000 SPG offer time. And that might be good advice. However I strategically passed on the 30k offer this year. The reason is that SPG Amex offers Gold if you spend $30k in a calendar year. By Applying now, in December, and holding off any spending on the card until Jan 1 I’ll be $5k towards this goal. Almost all of my stays in hotels are paid–and I usually upgrade myself to larger rooms, or suites for the price of a standard room (or less). I’m unsure what I’ll do with these SPG points. There’s a possibility I’ll take the gold, and convert the SPG points into Airline Miles. I also may use them in Hawaii, where being gold may help some. Either way I’m sure I’ll spend at least $30,000 in a 12 month period on the card–so why not spend it during the 12 months that give me the most for it? Had I applied in August I would have had just 4 months this year, or 8 next to hit my $30k in spending on the card, and would not be able to count the min. spend towards this $30k next year. Other cards offer similar yearly bonuses. The American Express Premier Rewards Gold card offers an extra 15k MR when you spend $30k in a year. The Chase United MP also offers 10k extra UA miles when you spend $25k in a year, and the Chase British Airways card offers a somewhat useless companion pass when you spend $30k on the card in a year. All of these types of offers should be looked at for December CCC applications since you maximize the months you have to make the spending on these. Milenomics suggests we keep the CSP for just the first year, and then downgrade to a Chase Freedom. The reason for this downgrade is that in the long run the freedom gives us the same or a better level of earning (see the calculator I’ve put up here), for no annual fee. For this reason getting the CSP (and the large bonus) and then downgrading is actually the best way to get a Chase Freedom. If you signed up now, and spent $5k on the card between now and February your bonus would be a miserable 7% of 5,000 UR = 350 UR. At this point I’d probably stop using the card, and then in a few months convert to a freedom and downgrade the card. Spending on it doesn’t really make sense for the rest of 2014. To get the bonus on your 2014 spend you’ll need to keep the card until Feb 2015, and pay a $95 annual fee. Milenomics doesn’t advocate paying Annual fees. I’m playing the CCC in 2 player mode–and I hold the CSP already. For this reason alone I would pass–as holding the card for one of us means we both have the benefits. When I’ve downgraded mine, my wife will apply then, meaning we still hold one and haven’t paid the annual fee. In addition If you have lots of employer reimbursed travel expenses, and eat out a fair amount you’ll benefit from applying in March because you’ll have larger 2x spending and also get that 7% dividend on all of your 2014 spending. The big risk in waiting is that the bonus will go back down–it was just 40,000 UR when I signed up last. I don’t know how long this current offer will stick around. There’s also the argument that UR have lost some of their luster after the United Devaluation–which may mean you skip the CSP all together. Trying to time the market is difficult, or impossible. In fact I’m pretty sure that within 30 days after you apply for your Winter cards a great offer will come up, and you’ll wish you had waited for it. Instead of feeling bummed about missing out on these offers focus on what you have already, and how to maximize those card offers. Look at the CSP offer–for some of us will add it into our applications for Winter, for others we’ll pass on it and wait until March. This is why the CCC is a great way of approaching sign up bonuses–for 48 weeks out of the year you’ll disregard everything you read about credit card offers, and bonus miles. Instead you’ll focus on MMR, getting your costs to earn miles down, and booking trips with miles. Too often we’re the opposite–focused 48 weeks a year on the best and newest credit card offers; leaving just 4 weeks for work on MMR, booking flights with our miles, learning tips and tricks for award seats, and all the other hard work. Miles are great–but if you’re not using them they really don’t even exist. Check back on Thursday for the CCC winter edition post, and over the weekend on creative Milenomics ways to meet minimum spending. Why worry about SPG Gold when you get it for free with an AMEX Plat? Assuming you have that already, what would I be missing here? Blue: I don’t have the Platinum, just the Amex PRGold now. My SPG Gold expires in Feb, so this will re-up us, with MMR spending I’d normally do on the SPG card anyway. I hit publish before finishing the post–but the point was that when there are bonus offers, like the ones which come with the United card (spend $25k get 10k extra miles), the Amex PRG (spend $30k get 15K extra MR) or the Chase BA Card ($30k companion Pass) December is the best time to apply for those cards to maximize your ability to get this bonus. I’ll update the post as soon as possible with this. I see. I suppose the *King* of all of those “end-o-year” apps has to be the Chase SW card with the nice bennie of the companion pass. Is that still around? I know the Business and Personal Premier cards are both still at 50k. can check the Flyertalk thread to find links for them. Excellent point– and a good example of a timely application for cards. I’ll add it to Thursday’s discussion. I did receive my bonus on the signup in Feb 2012, but sadly, you are correct. The wording on the application now says, “Your 7% Annual Points Dividend will appear on your January or February billing statement. You will not earn the 7% Annual Points Dividend on new account bonus points, previous Annual Points Dividends awarded, or points transferred into your account.” Updated the post to reflect how much worse the CSP has gotten, Thanks David. Flabbergasted to read people still talking about minimum spend as if it matters. So ridiculously easy to meet min spend that talking about it is a total waste of time. So I reject your entire approach – I always apply for the best offers whenever they pop up. 100k Plat. Check. 75K PRG. Check. 30K SPG. Check. If no decent offers, I just stick to my knitting and flog my cards to their utmost doing low/no cost MS.
And I haven’t paid for a hotel in recent memory – why would anyone? So much cheaper to utilize award redemptions from card churning and MS.
We’ll have to agree to disagree on this one. I agree that some of us are able to meet minimum spending with minimal effort, but not everyone can. Your ability and another reader’s are not going to be equal. Milenomics is about being the best you, not the best someone else. It would be irresponsible of me to advise readers to go out and apply for anything and everything–not worrying about minimum spending. I instead caution everyone to start with what their real spending is, and then add the disclaimer that if you feel comfortable to take on much more spending using card tricks then go ahead. We’re looking at two different sides of the same coin. I personally have a great setup, between drug, grocery, gas stations, and Wal-marts but not everyone is so lucky. And for those just starting they’ll need time to figure out the basics before jumping in feet first. My issue with using points for hotels vs. cashback is that points force you into a brand. While I like certain brands, I don’t pick my vacations by choosing a hotel– I instead pick a destination and then choose a hotel. Often times that means no hotels in the area that are bookable with points. Or much better hotels and resorts than those which can be booked with points. And when I’m in a city I would normally book with points I usually can crank down on the price of the hotel to the point where a redemption doesn’t make any sense (Sub 1CPP for SPG properties for example). For the remaining booking exceptions I will book with points–but I can generate those as needed without much effort given just a 4 month lead time or so. Are there any cards you keep and pay the annual fee on? Karen: personally I do keep some cards with annual fees, but only when the fees are refunded to me. I’ve got 4 AA cards between my wife and I and also 2 UA cards. Everything else gets downgraded or merged into new applications. Keeping the card mean you’re less likely to be able to earn the sign up bonus again so I’m always getting the itch to downgrade or merge around 11 months. So, let’s say a family of 4 wants to go to Europe sometime. the British Airways looked good to me for the 100K signup and the possiblity of getting 2 overlapping companion passes in a 2 year period. I recognize the spend is high but what alternative do you recommend “investing” in to get to EU in a reasonable fashion? Mel: I would definitely not apply for a British Airways card to travel to Europe. While you’re right there is a 100,000 Avios offer, flying Avios to Europe (even on AA) will bring with it $500-$600 in fees (in coach! more in Business). You’ll put a lot into this card, including a $95 annual fee, $30k in spending, and then be stuck with paying $2,000 plus at least 80,000 avios for your family of four to fly to Europe with Avios. It is hard for me to recommend specific cards without knowing what other miles you have right now, and your timeline–but AA, UA and US can all get you to Europe without any crazy fees. Look at which programs you have miles in, and go from there. With US Leaving Star Alliance and moving to oneworld sometime next year a US & AA Card strategy right now might work well for you if you’re not looking to book flights until later next year. Can reply with more details or email me as well.